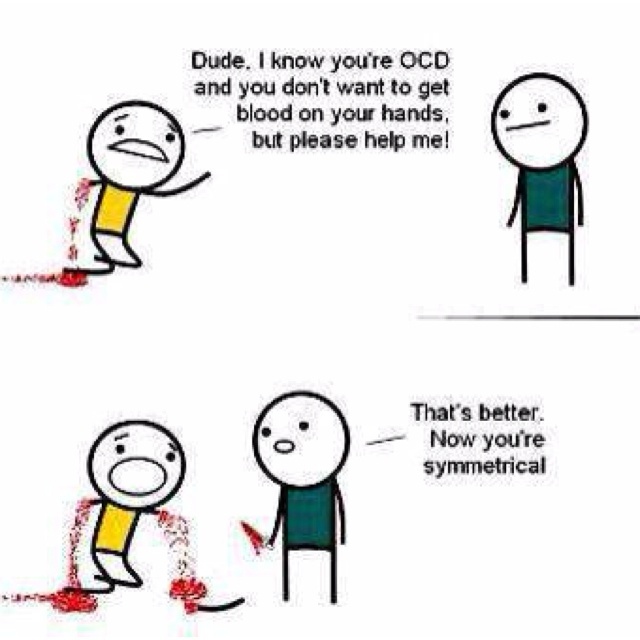 Dude, I know you’re OCD… | Will It Be OK? I wish I knew where this originated. Does anyone know? This entry was tagged comics, ocd, symmetry, who made this?. I don’t know where this originated but it did make me chuckle. I just hate it when ‘things’ don’t ‘match’! I like for things to be symmetrical, I really do. But I wouldn’t want to get blood on my hands either.